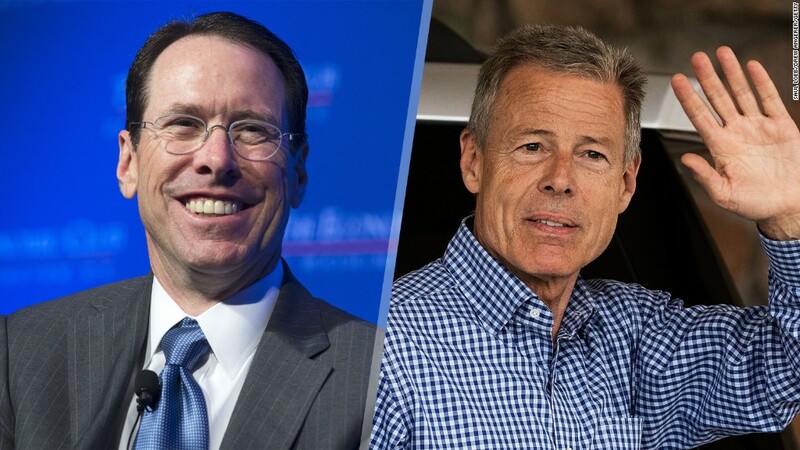 The biggest loser from AT&T's plan to buy Time Warner may not be another telecom or media rival. It could be investment banking giant Goldman Sachs. AT&T's more than $85 billion deal -- $109 billion if debt is included -- for Time Warner will lead to big advisory fees for Wall Street firms. But Goldman Sachs was notably shut out of the deal. According to regulatory filings about the blockbuster merger, boutique media banking firm Allen & Co, Citigroup and Morgan Stanley advised Time Warner (TWX). JPMorgan Chase, Bank of America's Merrill Lynch unit and another smaller specialty investment bank, Perella Weinberg, were the advisers to AT&T (T). BofA and JPMorgan also provided $40 billion in loans to AT&T for the deal. The fact that many of Goldman's rivals are taking part in the Ma Bell-Time Warner hookup is hurting the Vampire Squid in the latest rankings of investment banks. Before the AT&T-Time Warner announcement, Goldman Sachs (GS) was ranked first in the so-called league tables, which ranks investment bankers based on the value of the deals it is working on that have been announced so far this year. But once you add the AT&T-Time Warner deal to the mix, both Morgan Stanley (MS) and JPMorgan Chase (JPM) vault ahead of Goldman Sachs, according to figures from Thomson Reuters. Morgan Stanley is now working on deals in the U.S. worth more than $408 billion. JPMorgan Chase's deal volume totals $393 billion. Goldman remains stuck at $383 billion. And BofA (BAC), which remained in fourth, is now less than $8 billion behind Goldman in deal volume. The league tables represent bragging rights for Wall Street bankers. Merger fees are also based partly on the size of deals too. Goldman often finds itself on top of these rankings -- so that is good for both its image and bottom line. So with just a little more than two months left to go in the year, it looks like Goldman is going to need to get working on more high profile deals if it wants to pull ahead of its two big rivals.